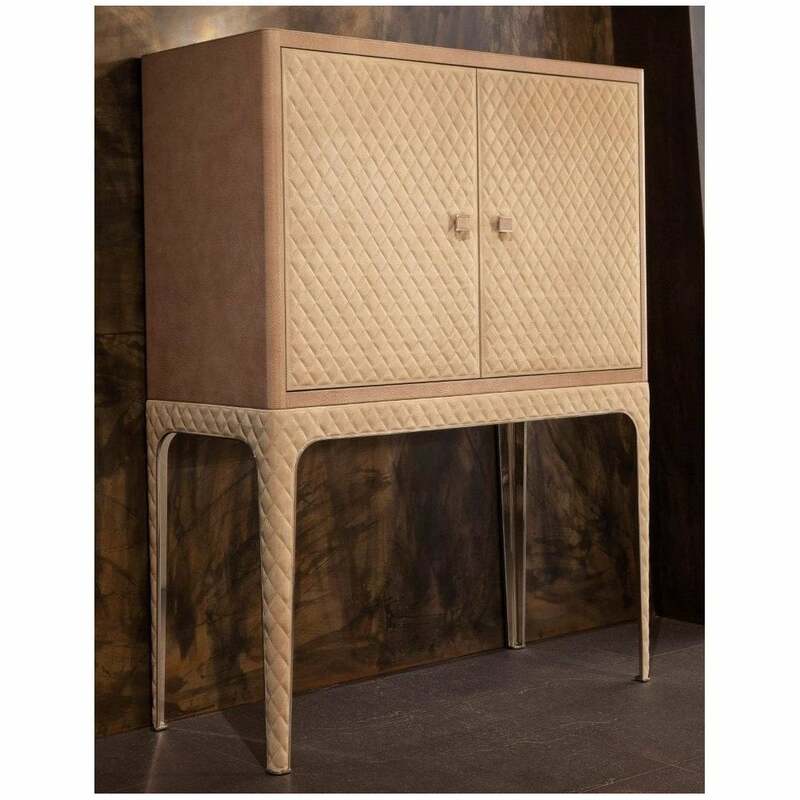 Entertain in style with the Ciry Bar Unit by Rugiano Interiors. A beautiful accessory for a home bar or dining room, this luxury bar unit presents a modern interpretation of a classic design. Featuring two outer doors with six compartments and three drawers, each section is divided by glass shelving. Upholstered in the finest Pelle leather, this artisanal material contrasts with the smooth, lacquered wood frame and interior. The Ciry Bar Unit is perfect for storing glassware, spirits, liqueurs and cocktail accessories. Available in a variety of finishes, make an enquiry for more information.